Characters!! all!!. . 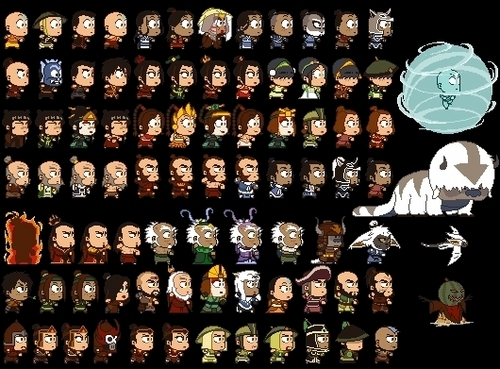 Wallpaper and background images in the Awatara - ang Huling Airbender club tagged: avatar the last airbender. woah! there al so cute! haha they even got melon lord!!! XD the 4 Azulas... so cute. ohhh, right x) the one with the giant mole right? YOU FORGOT THE CABBAGE GUY!